One of Japan's longest-running adventure series is making a return, and you probably didn't even realize it! Neither did we really, but knowledge is meant to be shared, you know? 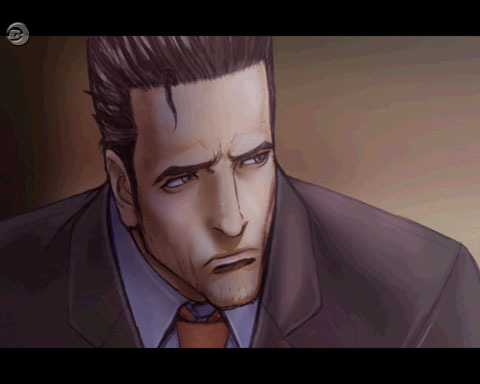 Tokyo gumshoe Saburo Jinguji is on the case in the latest installment of the classic series. Adventure games are big business in Japan, or at least decent enough business to keep adventure-only companies thriving. WorkJam is one of those companies, and they’re primed to release Kind of Blue, a sequel in a long standing franchise and a breath of fresh air amongst all the repetitive love adventures making their way to the market. Kind of Blue is the ninth game in the Detective Saburo Jinguji series, which began way back in 1987 with "The Shinjuku Central Park Murder" for the Famicom and continuing as recently as 2002’s Innocent Black. Jinguji as a character hasn’t changed much; he’s still a 30-something chain smoking dude that looks like a corporate Solid Snake. 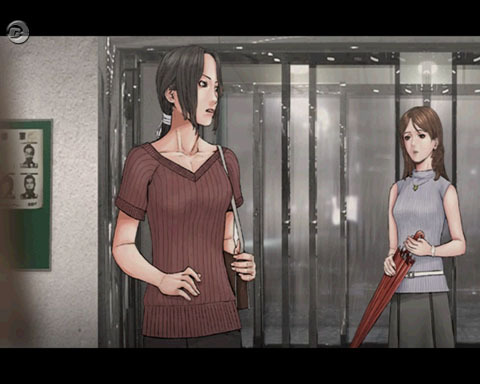 Each game is a story set in or around the Shinjuku district of Tokyo, an area not known for its high morals, but it’s where Jinguji is based. The story for the game, crafted by Flagship’s Jyunichi Miyashita (who’s previously done scenario work for TV dramas and anime such as Lupin III and Detective Conan), begins about a year after Jinguji’s trusted assistant Yoko left the detective’s firm. Jinguji’s been feeling empty ever since, unable to concentrate on his work, but he still pushes on and takes up a request to keep tabs on the leader of a crime group. His trail leads him to a jazz bar, where a second request is made regarding the band’s hospitalized tenor. 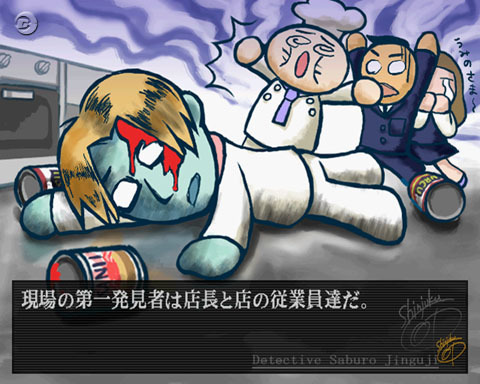 Eventually Jinguji discovers a connection between the two cases and gets further into trouble, meeting with organized crime members and other dangerous characters along the way, even reuniting with Yoko, who becomes a great help in Jinguji’s case. True to any detective story, Kind of Blue promises a healthy dose of intrigue and sticky situations for Jinguji to get involved in. Amongst the striking visual style that aims to mix illustrations with real-world photos and video, Kind of Blue basically plays like any other adventure title: talk to people, take notes, investigate rooms … but it tries to spice things up in the form of the Talk Profile System, or TPS. Basically, when questioning someone to probe for information, there are multiple paths the conversation can take and which ultimately decide if you get the info you’re looking for. One or two commands can change your subject’s mood in an instant, possibly getting you sent off, but you can also notice moments of weakness and make the appropriate strike. Of course, bribery is also an option and works well with the shadier types you’ll run into. Speaking of bribery, money is another important and new element in the game. Jinguji always has a stash of spending money to use in and around town, and he can do trivial things like buy lottery tickets or maybe buy a drink at the bad guys’ hangouts. Of course, you have to be watchful of how much you spend, too, so wasting your cash on cigarettes is not encouraged. There’s a fair share of extra things to do outside of the central story, as well. 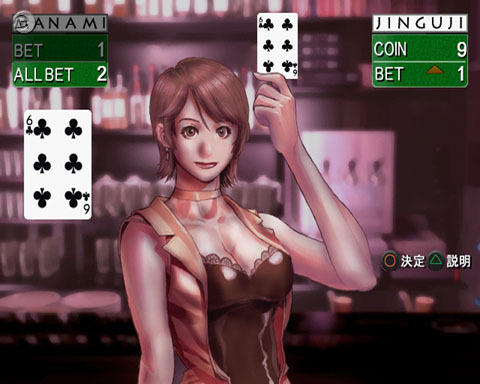 Why not drag Jinguji down to his favorite bar and have the barmaid sisters Kasumi and Manami host a game of Indian Poker? Perhaps a game of darts, or a song or two from the jukebox? The action in a detective’s life never lets up, does it? Aside from time-wasters, there’s a seperate series of more light-hearted, cartoony mini-adventures to take your mind off some of the drama in the main game.